Payment Terms Payment rules as per agreement with the customers. Address – State A nation or territory considered as an organized political community under one government. Address – Postal Code A series of letters and/or digits appended to a postal address for the purpose of sorting mail. 2. Fill up customer’s information header and settings. Mandatory information is marked with x on the text field. For more information on each field please see the description table above. 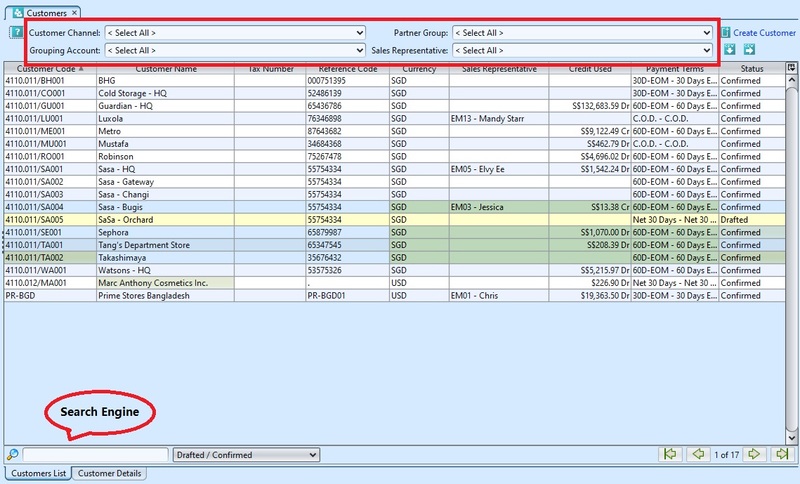 *Note: User must select either “Outright” or “Consignment” option in the “Manage Store Sales” list for the customer to be available as selection for “Customer” in “Sales – Sell Out module”. 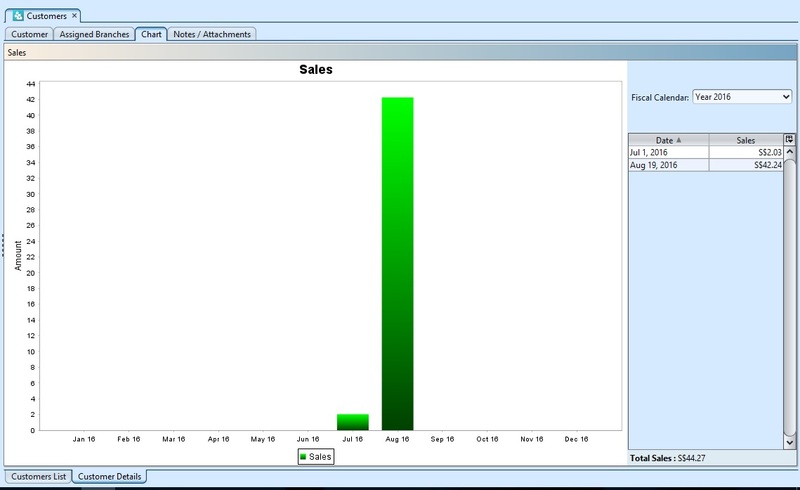 Sell Out module is for tracking and managing offtake sales of the customer. Under each of the “Address”, “Contact” and “Credit Term” section, click the “Add” button at each section after filled up the details to save the entry and create new empty form for the section. 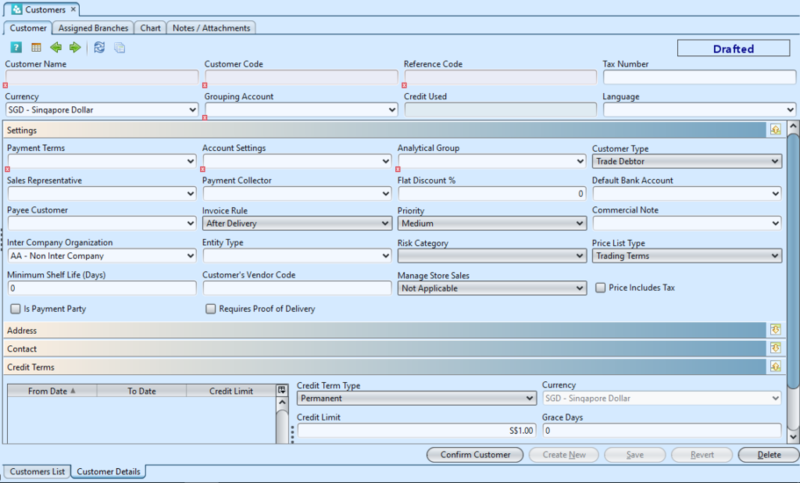 User able to enter multiple entries for “Address”, “Contact” and “Credit Term” for each customer record. 2. Click “Export to CSV” button to export listed customer data, user can filter the list to only show data to be exported. 3. 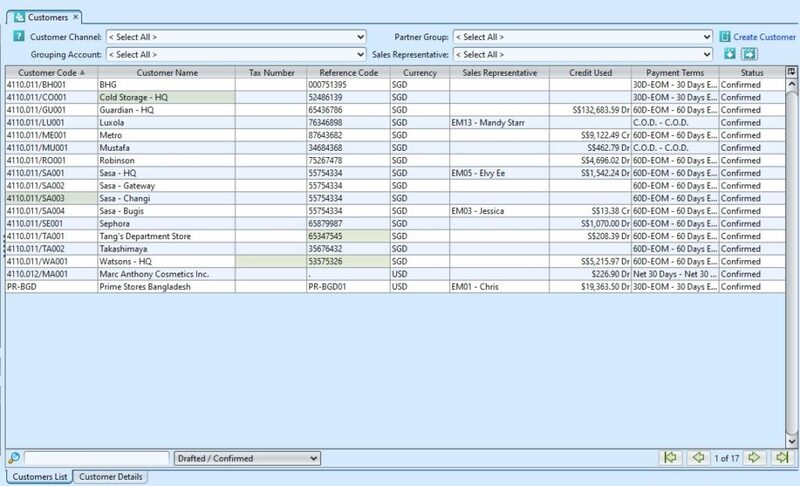 Click “Import from CSV” button to import customer data. Use “Export to CSV” feature to get the file template with example.